The perception of the Holocaust in Spain is still generally limited to a very basic knowledge. The main reason for this is that Spain did not directly take part in World War II and that it was overwhelmed by its own history, so the population used to perceive no connection with the events of the Holocaust. Hence, until recently the Nazi crimes were something exclusively remembered by the immediate victim groups such as the Spanish republicans, survivors of German concentration camps and the Jewish communities of Spain. This situation has been gradually improving since Spain's participation to the ITF as an observer country in 2005. In December 2008, Spain was accepted as full member. For the ﬁrst time, the teaching of the Holocaust has been expressly introduced into the Spanish educational system, using a multi-disciplinary approach: at the earliest stage, in Primary Education, the Holocaust is taught using a mostly cross-curricular and "emotional" approach. Later, in Compulsory Secondary Education, the approach is more rational and fact-based. Finally, at Baccalaureate level, the Holocaust is taught as an essential feature of pupils' responsibility and civic engagement. In essence, the new educational law allows Holocaust teaching in the sense of its universal meaning. The Holocaust is understood as a paradigm for the education on all topics related to human rights and responsible citizenship, and against all forms of discrimination, such as racism, xenophobia, anti-Semitism, etc. 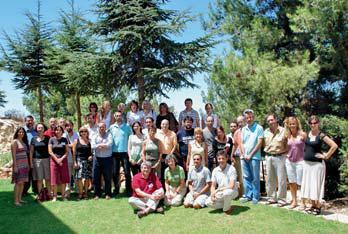 An increasing number of Spanish teachers are receiving training for the specifics on the transmission of the Holocaust. 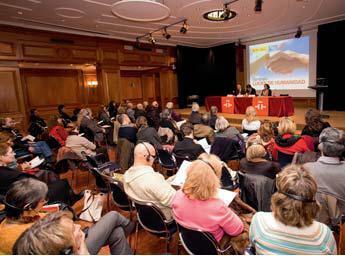 Every year, several seminars are offered either in Spain or abroad. In Spain the Holocaust is defined as the systematic destruction of European Jewry by the Nazis, stressing, in accordance with the Declaration of the Stockholm International Forum on the Holocaust, its magnitude, its universal meaning and unprecedented character, the terrible suffering of the Jewish people and many millions of other victims and the indelible scar it left across Europe. 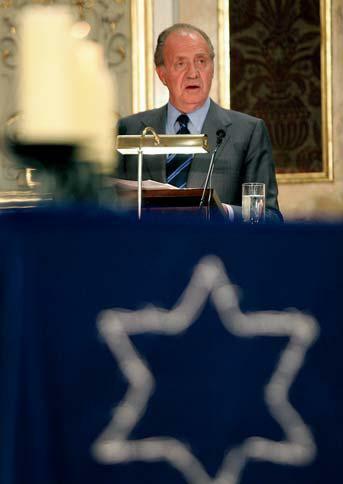 This is reflected in the decision of the Cabinet meeting of 10 December, 2004, which established January 27 as the official Holocaust Remembrance Day. The definition according to the Stockholm Declaration is systematically reafﬁrmed and reﬂected in the speeches given by different Government authorities on the occasion of the yearly Holocaust remembrance day events. Since January 2006, Presidential and Ministerial speeches have been made every year on the occasion of the Remembrance Day. Holocaust survivors from different countries, invited to the commemoration acts, play a major role in all remembrance events, always with full audiences and excellent responses. Although the most important commemoration room is always given to Jewish victims, other groups of victims are also honoured, such as Roma people, or Spanish deported people to Nazi concentration camps. Spanish Righteous Among the Nations always play a major role, usually represented by their descendants. The programme of the activities is always determined by a central idea which changes every year. As for the educational, academic and public examination of Spain's historical past related to the Holocaust period, a specific approach has been designed and a working plan outlined to meet this ITF requirement. It is our intention to visit ITF member countries with experience in Historical Commissions, to reflect and discuss on different aspects of Spain's history during World War II. This will allow us to establish a working plan according to specific aspects related to our own history. 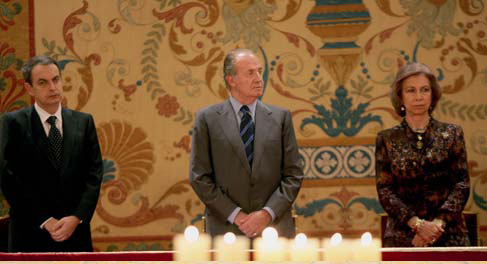 A take-off meeting took place in Madrid in January 2009 to discuss the way forward and to define several areas to be treated, such as "lessons learned", access to archives, looted art and memorial sites. We decided to start by establishing a small group of historians to identify all archives with documents related to the Holocaust as a working basis. The outcome of all these activities will provide guidance to the Spanish Government on the most appropriate way to move forward in academic, educational and public examination of Spain's historical past as related to the Holocaust period, including the possible setting up of a historical commission. 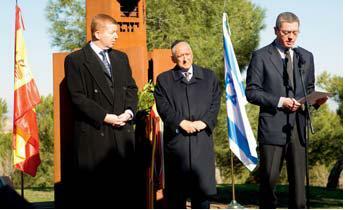 At the initiative of the Jewish Community of Madrid, a Holocaust Memorial was unveiled in April 2007 in Madrid, in the presence of the Mayor of Madrid and local representatives from different institutions. 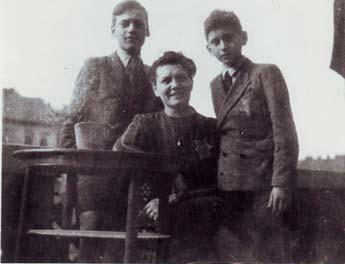 It is dedicated to all victims of Nazi persecution. Since its inauguration, many people and students have visited this memorial on the occasion of January 27, but it is the will of the Jewish community and the Government to promote regular visits of a greater number of students during the whole year. There is an increasing awareness of Holocaust issues due to several developments, amongst them all the activities implemented by the Spanish delegation to the ITF (remembrance ceremonies, exhibitions, seminars, books, concerts...). 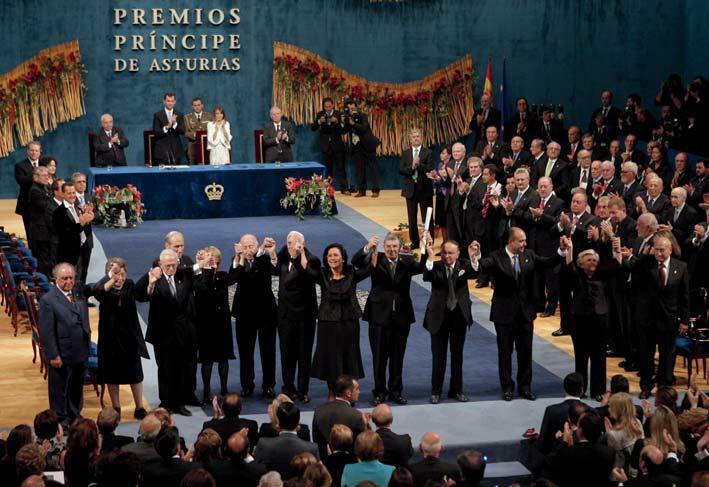 As a significant example, Yad Vashem was honored with the Prince of Asturias Award for Concorde in October 2007, which is a very famous and probably the most prestigious award in Spain. This event received high media attention and was followed with great interest not only by Spanish society but also abroad. Additionally, every year there are more and more books in Spanish on Holocaust topics published and movies and documentaries related with its history screened on television and in cinemas.